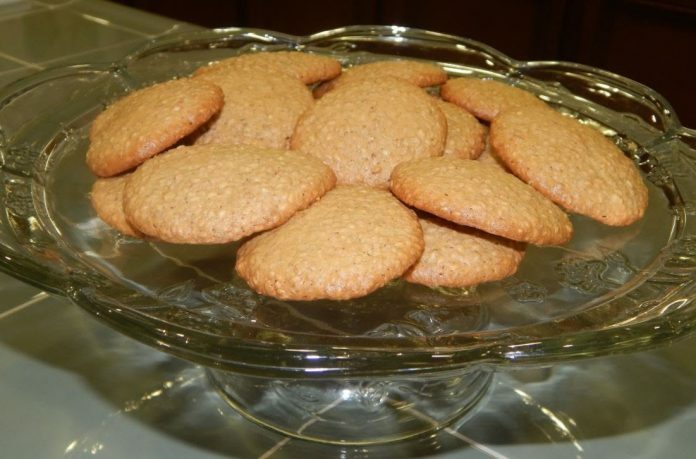 Benne Cakes is a popular snack cookie that originated in Africa, where the benne seed comes from. Benne means sesame. It is enjoyed by the whole world because of its wonderful taste. Benne seeds are said to be eaten for good luck and it is popular in America during the Kwanzaa Celebration. Bring some luck to your Kwanzaa celebration by trying these delicious and simple cakes. You can enjoy it with chilled juice!! !